10 Feb 2012, 12:04 p.m. The crucial league game against Priorians was postponed last week and is due for this Saturday ( 11th February ). Looking out of your windows you'll notice a bit of snow. We have checked the pitch and, at the moment, it's playable. The only issue is to clear the snow. 7 Feb 2012, 3:05 p.m. 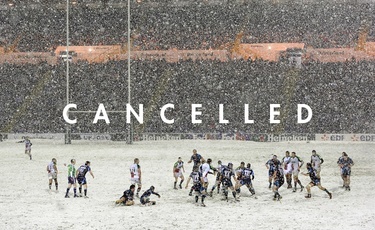 Unfortunately training at Mabley Green tonight (07/02/2012) has been cancelled due to the pitches being snow-covered & frozen. Please pass the word onto everyone! 3 Feb 2012, 2:23 p.m. The 1st XV, 2nd XV, 3rd XV & Ladies games that were due to take place this weekend have unfortunately been posponed due to frozen pitches. Please pass the word onto anyone who might have planned to spectate at Springhill.